"Dare I Weep, Dare I Mourn?" (1967), in The Saturday Evening Post, 28 January 1967. ↑ Kean, Danuta (7 March 2017). 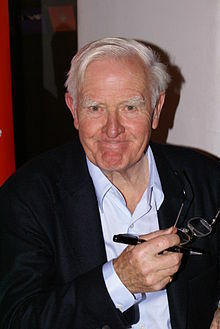 "George Smiley to return in new John le Carré novel, A Legacy of Spies" – via www.theguardian.com. ↑ Robert McCrum (9 March 2014). "A Spy Among Friends Review: Kim Philby's Treacherous Friendship with Nicholas Elliot". The Observer. Retrieved 25 March 2014. This page was last changed on 20 April 2018, at 04:47.